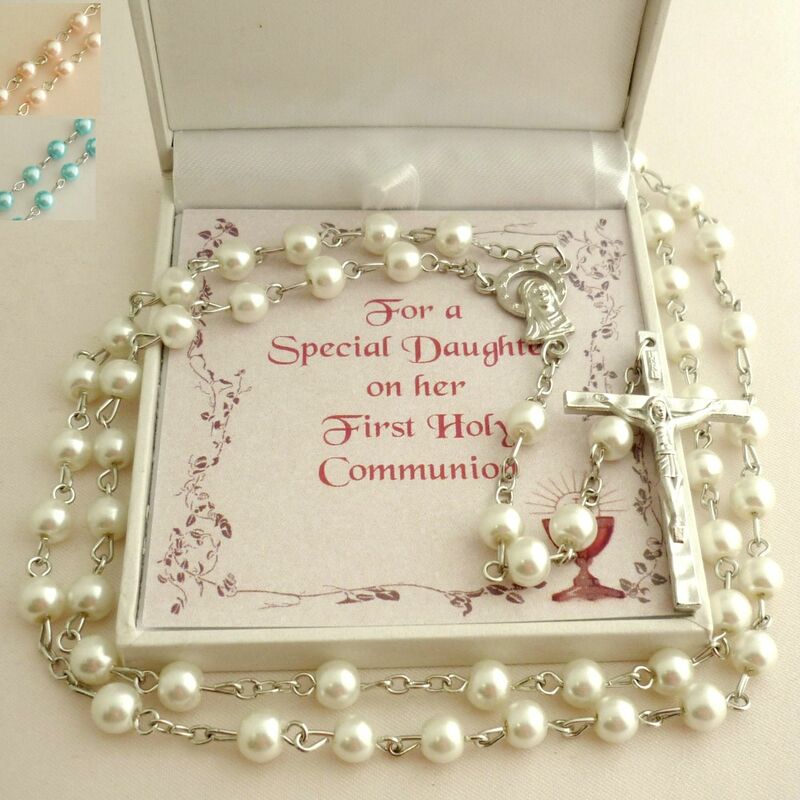 Hiqh Quality Glass Pearl Rosary Beads in Special Gift Box for First Holy Communion. 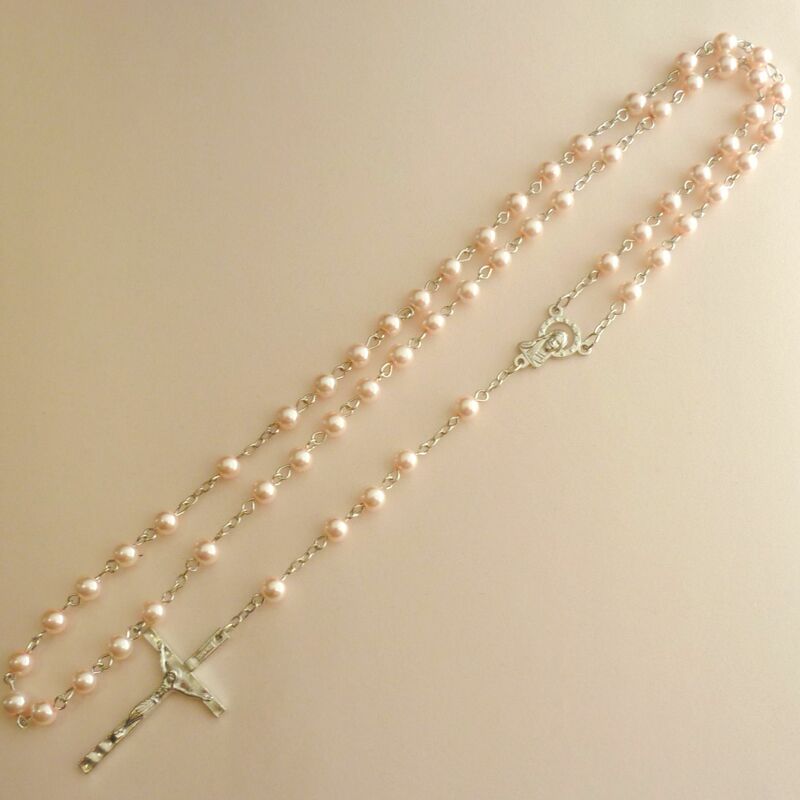 Each delicate rosary is made with beautiful, high quality, 6mm glass pearls. Ideal for a younger child's small hands. 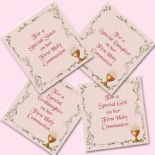 Rosaries are often given as gifts for so many occasions including: First Holy Communion, Confirmation, Baptism or Wedding. Pearl Colour: White, Pale Pink or Turquoise. Size: Long enough to fit over the head of a small adult or child. Each pearl measures 6mm. 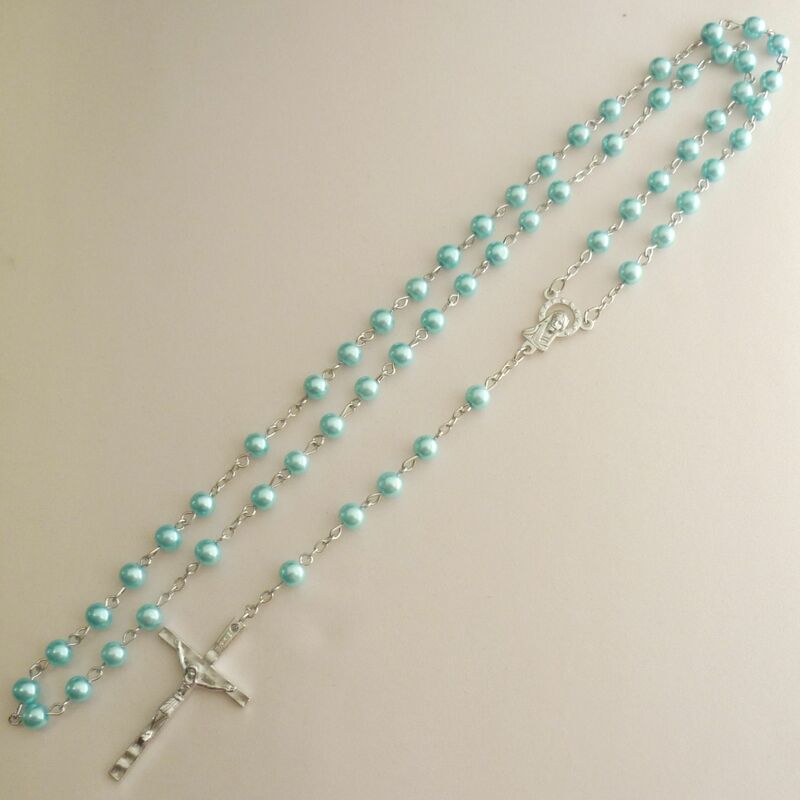 The rosary (as laid out in the photo) measures 49cms from the tip of the cross to the top of the beads. From the top of the centre piece to the top of the beads is 34cms. Therefore the total length of the five decades (i.e. the main beaded section of the rosary) is 68cms measured all the way around. 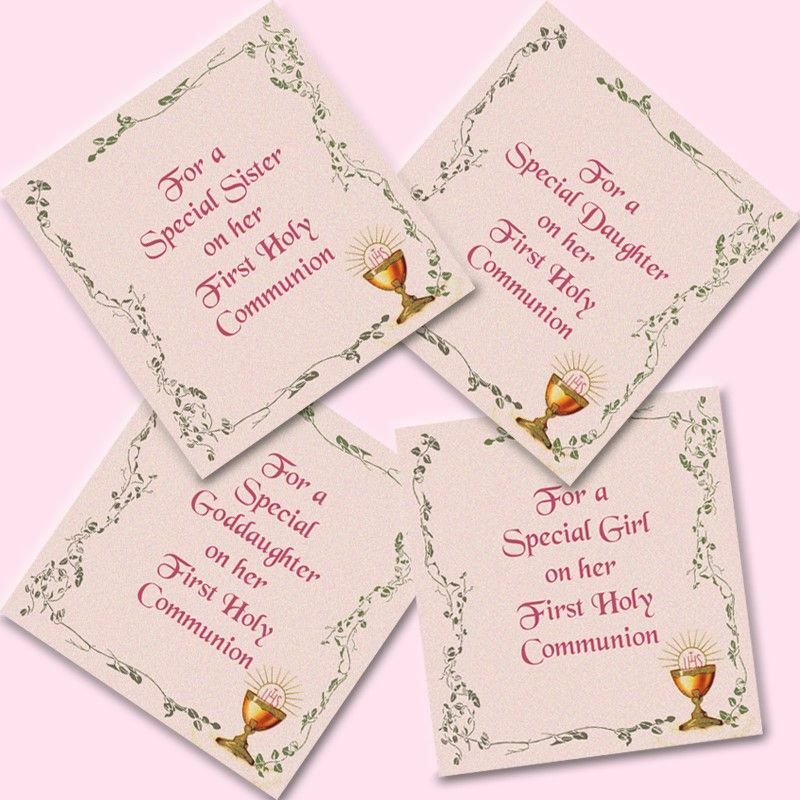 A classic rosary with small beads can be an ideal gift as a first rosary for a younger girl. However please note this item is not a toy and children should not be left unattended with jewellery and rosaries with small beads.